Remember all the craze last Christmas about Hatchimals? Those cute animals that hatch from an egg? Well, we didn’t get one and my daughter STILL asks for one from time to time. Needless to say, the original Hatchimals will be on my daughter’s Christmas list yet again this year. For now, both my kids got to have fun opening Hatchimals Colleggtibles, smaller versions of Hatchimals and super fun to collect. 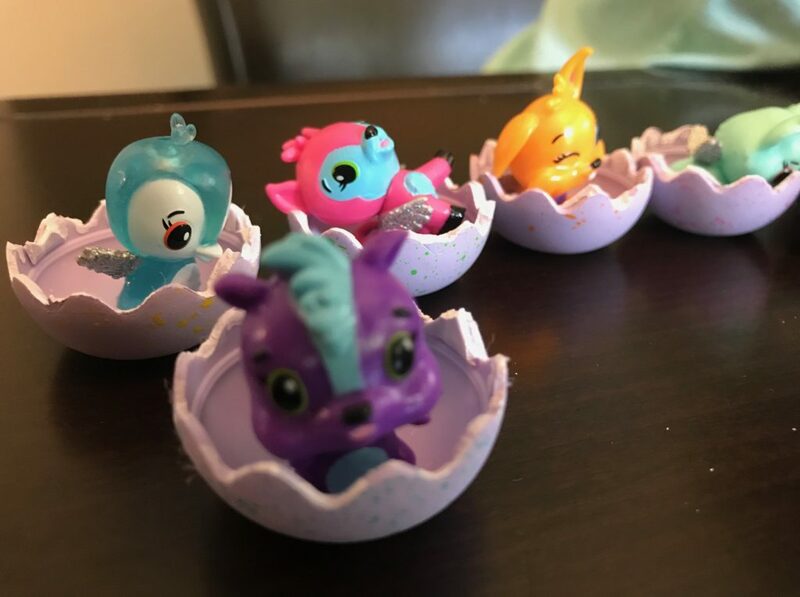 Hatchimals Colleggtibles are tiny, they come in eggs that you must break open. My kids loved them because they are like blind bags that they always want to pick up when we’re shopping. Spin Master sent us 8 packs to help us start our collection. 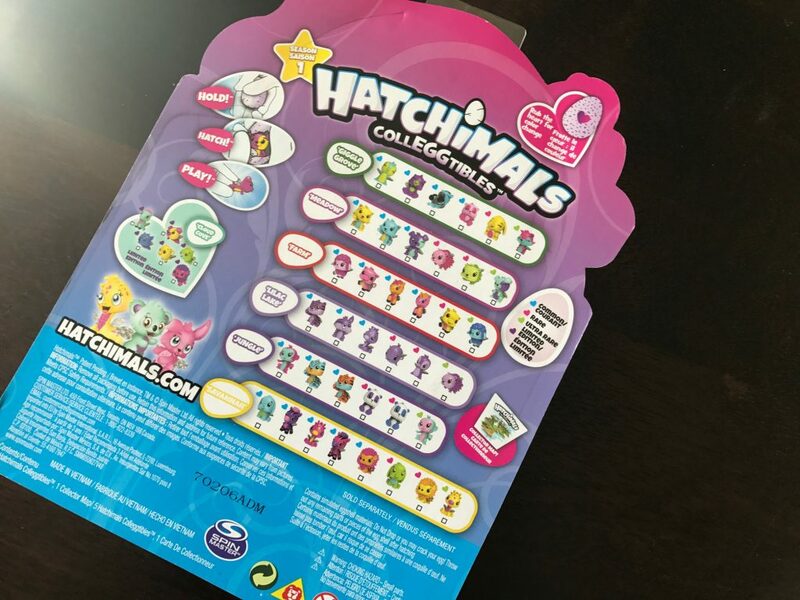 Each pack comes with 5 mini Hatchimals, 1 is visible, 4 are hidden in eggs. There are 70+ to collect in all. Like other small collectibles there are common, rare, ultra rare and limited edition Hatchimals. 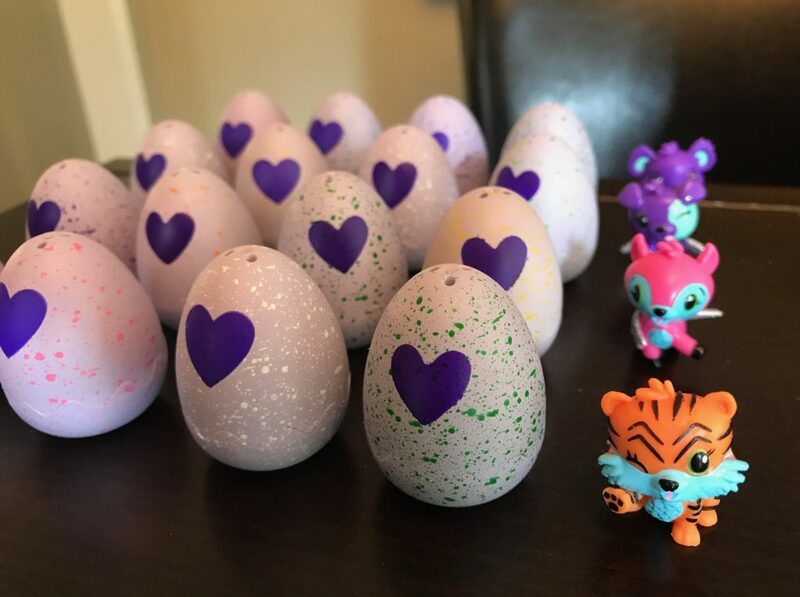 My kids loved opening their Hatchimals Colleggtibles. They traded a few with each other and have them displayed in their rooms. I think Hatchimals Colleggtibles make great gifts! You can find them in stores now. A 5 pack of Hatchimals retails for $10.99 each in Canada. Spin Master wants one of my readers to see how great Hatchimals Colleggtibles are. They are giving away 3 packs on my Facebook page. 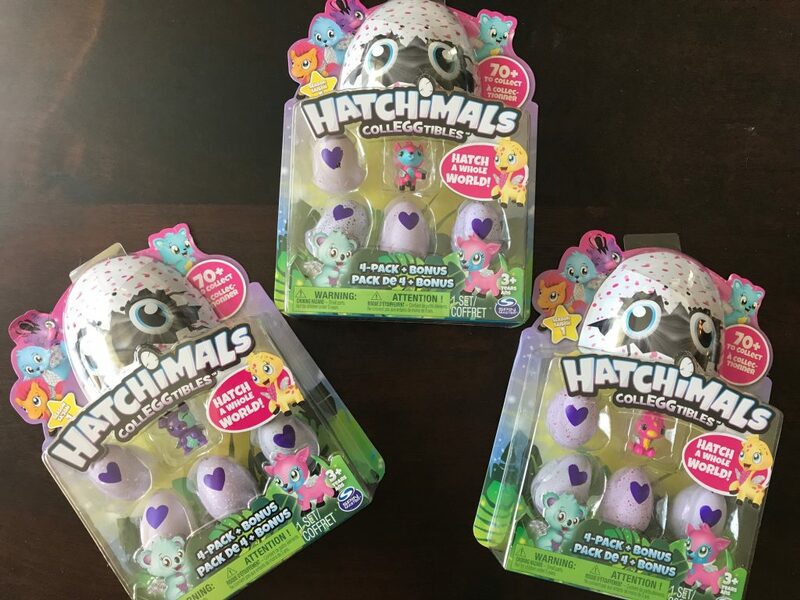 Click here to go enter my Hatchimals Colleggtibles Flash Giveaway! Giveaway is open to Canadian residents only. Giveaway runs from Aug 25 – Aug 30th. See the Facebook Flash Giveaway post for more details. Disclosure: Spin Master provided products to facilitate this review. All thoughts and opinions are my own and my kids really love their Hatchimals Collectibles. These are really cute (but glad my kids are too old for these! lol). We thought that too but we found we had to crack into them. My son also loves blind bags! It’s so exciting to open! These look like a lot of fun!